I go to that movie theater every single weekend. It is very nice and hope they don't tear it down. We attended the MJR Partridge Creek Cinema 14 on Saturday October 28, 2007 and saw Dan in Real Life. We enjoyed the movie very much, and the house was packed. All the stadium seating was occupied when we walked into theater # 2. It''s a very nice theater, but it does not have the huge grandiose lobby or the upstairs theaters like the MJR Marketplace 20 in Sterling Heights, MI offers. However, it is certainly worth checking out and has crystal clear presentation of movies, due to all digital projection in all of the auditoriums. The staff was very polite and helpful to us. It''s located in the very upscale new Partridge Creek Mall on Hall Road, next to Nino Salvaggio''s Market. The property was formerly known as Partridge Creek Golf Course. Best wishes,Scott and Sandie Biggs. Movie theater mogul Michael Mihalich loves to watch dramas and comedies on the big screen -- but not in his own buildings. Mihalich, head of Oak Park-based MJR Theatres, has a hard time relaxing in his theaters as he ponders whether the popcorn is fresh enough or if ushers are properly greeting guests. Nobody cares about a business like the owner, he said. And I truly believe we are the very top of this business in providing a great facility, state-of-the-art equipment and top-notch service. That means Mihalich will have another project to worry about when MJR opens Partridge Creek Cinema 14 at the new Partridge Creek upscale shopping center in Clinton Township this week. The $10 million, 58,290-square-foot facility contains 2,500 seats in 14 auditoriums with all digital projection in every room, a first for Macomb County movie-lovers. 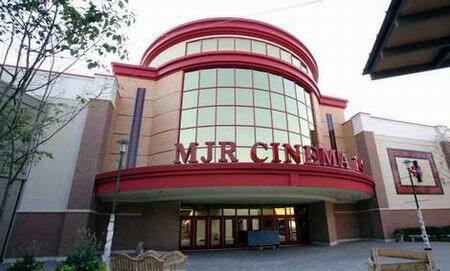 It's the seventh MJR venue in southeast Michigan, the third in Macomb County. MJR officials say the new theater isn't necessarily better than the venues in nearby Chesterfield Township or Sterling Heights, but there are several differences. For example, the Clinton Township venue has 46 inches of room between each row of seats, giving movie-goers plenty of room to stretch out and relax as they enjoy the latest films. There also is valet service available at the mall and five restaurants within walking distance on the mall property. That means customers can eat a full meal or have a snack before or after taking in a movie. The theater complex also has 12 selling stations in its concession area. This mall is like a separate city, Mihalich said. It's going to be a great place to spend leisure time and we probably will attract people just window shopping or stopping to eat. I think we'll benefit especially in mid-week when our traffic is usually slower because we'll draw from the shopping center where our stand-alone buildings don't have that luxury. The National Association of Theater Owners (NATO) supports that idea. Patrick Corcorcan, director of media and research for NATO, said movie theaters are becoming a staple of almost all new outdoor shopping centers such as Partridge Creek. One of the things we're seeing is the growth of the adult demographic as opposed to the habitual market of teens and young adults, Corcorcan said. To better serve that market, we are seeing a higher level of service in terms of valet parking, luxury seating and food service. Mihalich, who has been in the motion picture business for 40 years, said he is excited about the mall and his theater's involvement. Movies are a shared experience and this is the start of a new set of experiences, he said. 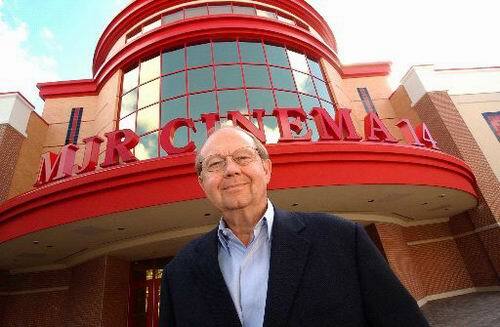 MJR Partridge Creek Cinema 14 opens to the public on Friday. For online ticketing and more information, log onto www. mjrtheatres. com.